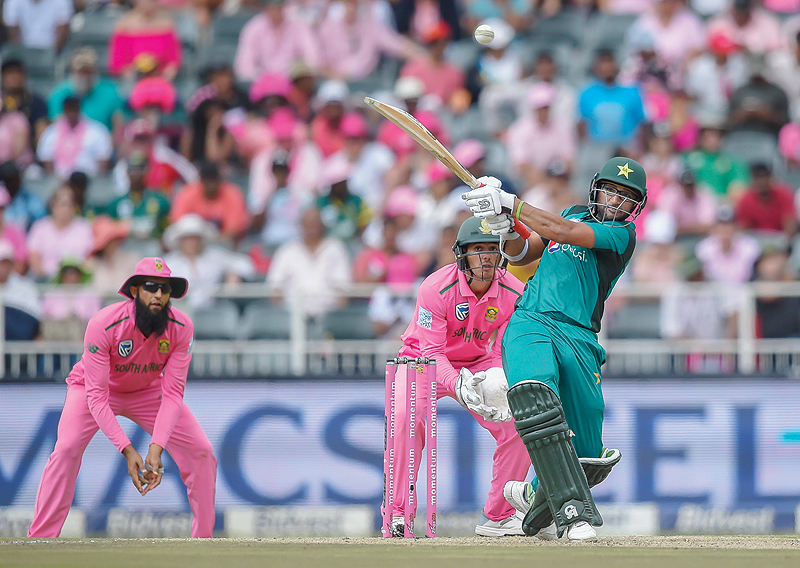 JOHANNESBURG: Pakistan shrugged off a four-match suspension imposed on captain Sarfraz Ahmed with a crushing eight-wicket win over South Africa in the fourth one-day international at the Wanderers Stadium yesterday. The result levelled the five-match series at 2-2. The deciding match will be in Cape Town on Wednesday. Pakistan’s bowlers set up the win, bowling out South Africa for 164. Imam-ul-Haq made 71 before playing a loose shot when the scores were level as Pakistan cruised to victory with 18.3 overs to spare. The ban had still not been announced by the ICC when Malik walked out for the toss. Malik handled his bowlers and fielders astutely and South Africa were kept under pressure almost from the time he won the toss and sent them in on a pitch which had early life. “It is a great honour to represent your country, as a player or a captain,” said Malik. “When the responsibility comes you should make sure to give it your best shot.” Shaheen Shah Afridi made two early strikes before Hashim Amla (59) and captain Faf du Plessis (57) made half-centuries and put on 101 for the third wicket. Malik’s use of spinners Imad Wasim and Shadab Khan kept the scoring rate in check and both batsmen fell to the slow men before the fast bowlers returned. Mohammad Amir dismissed the dangerous David Miller before fellow left-arm fast bowler Usman Shinwari claimed four wickets in six balls. He finished with four for 35 and was named man of the match.